Hilda was born January 21, 1945 in Goshen, NY to the late Henry and Gladys Lynch Eckerson. Aside from her parents she was preceded in death by her husband Donovan Williams, a sister Margaret Miller; brothers Charles, Henry, Donald and Clarence Eckerson. Hilda is survived by her daughters Rosie (Keith) Coffey and Dana Marie Sweat; sister Sandy Eckerson, brother Fred (Kathleen) Eckerson; grandchildren Tyler Sweat, Cheyenne Coffey and Malyn Sweat; sister in laws Pat, Patty and Maureen Eckerson. A gathering of family and friends will be held on Friday, February 8, 2019 from 6-8 PM at Clark Legacy Center-Brannon Crossing, Nicholasville. 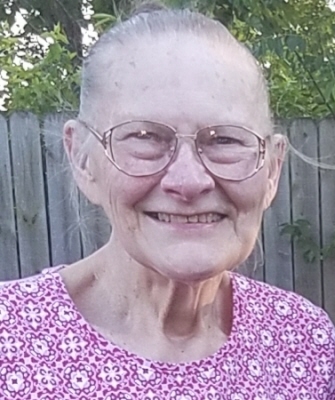 The family has requested in lieu of flowers, please make contributions in memory of Hilda to St. Jude Research Hospital and/or Hospice of the Bluegrass. The family asks' that you bring a side dish or dessert to share during the Gathering. "Email Address" would like to share the life celebration of Hilda M Williams. Click on the "link" to go to share a favorite memory or leave a condolence message for the family.